ELEPHANTS, GIRAFFES, AND LIONS, OH MY! 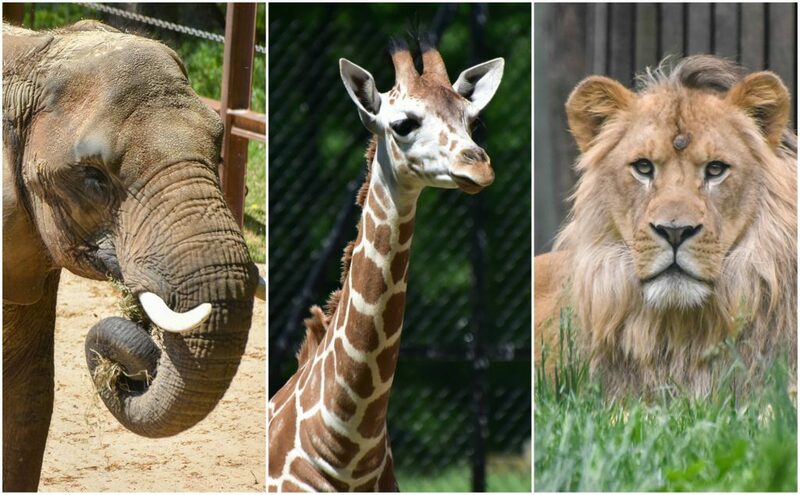 The Maryland Zoo in Baltimore is excited to announce the renovation and expansion of several areas within the African Journey section of the Zoo, specifically the expansion of the elephant barn and creation of new outdoor yards, as well as major renovations to the giraffe and lion habitats. “We are committed to meeting or exceeding the highest standards of animal care for every animal in the Zoo. 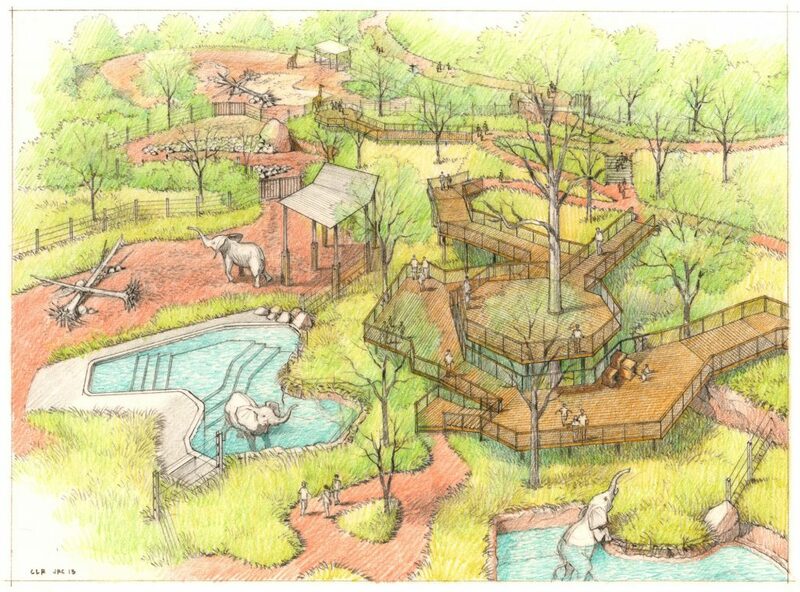 We are incredibly excited to get these new improvements underway.” -Don Hutchinson, president and CEO of The Maryland Zoo Construction will begin immediately and is expected to be completed by summer 2019. BIG NEWS: Experience the new lion habitat – Now complete! The first of our three major exhibit renovation projects is now complete. Explore the totally new lion viewing area starting Saturday, March 16th at Zoo Bloom! Please Note: The renovated habitat has a totally new view for lions too, and they may not be visible at times; so bear with our feline friends Zuri and Hassan as they adjust to their new space. As the project progresses, there will be periods of time when guests will not be able to see the elephants at all. Elephant Overlook is currently closed. The Giraffe Feeding Station is closed due to the renovation. 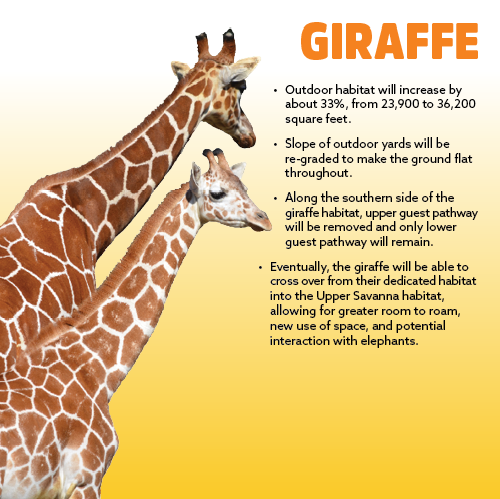 The giraffe herd will be viewable inside the Giraffe House and in the adjacent yard throughout this project. There will be well-marked pathway detours for the duration of the project. We hope that our members and guests will bear with us while we are working to bring this new vision to light for the benefit of both the animals in our care and our visitors. Click for May 21st construction update. Click for June 5th construction update. Click for July 21st construction update. Click for August 24th construction update. Click for September 24th construction update. Click for October 26th construction update. Click for November 23rd construction update. Click for January 25th construction update. Click for February 22nd construction update. 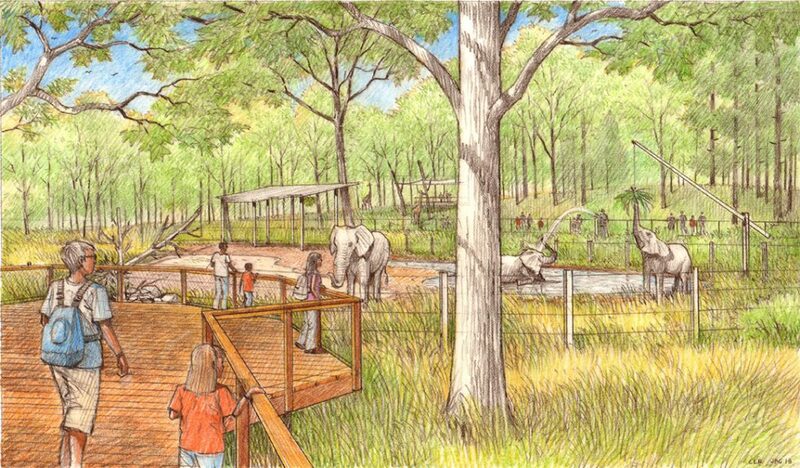 The Elephant habitat expansion will dramatically change the current elephant experience for both the elephants and Zoo visitors. While the physical expansion of the habitat will allow the Zoo to increase the herd and provide space for rearing calves, upgrades to the existing barn will also enhance elephant management practices. 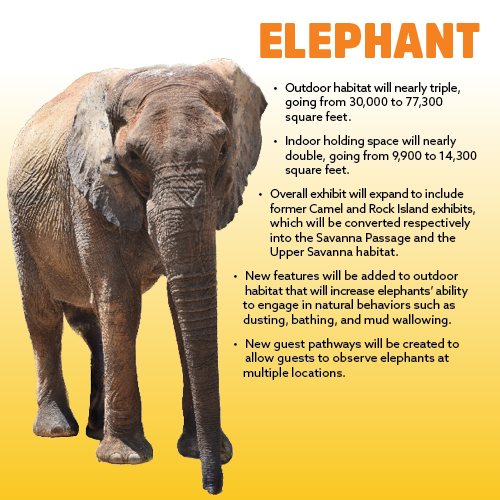 The outdoor elephant habitat will nearly triple in size to 77,300 square feet by transforming the camel ride area and former Rock Island penguin exhibit into the Savanna Passage and Upper Savanna Habitat. New features will be added to the outdoor habitat that will increase the elephants’ ability to engage in natural behaviors such as dusting, bathing and mud wallowing, as well as guests ability to view and learn about these amazing animals. 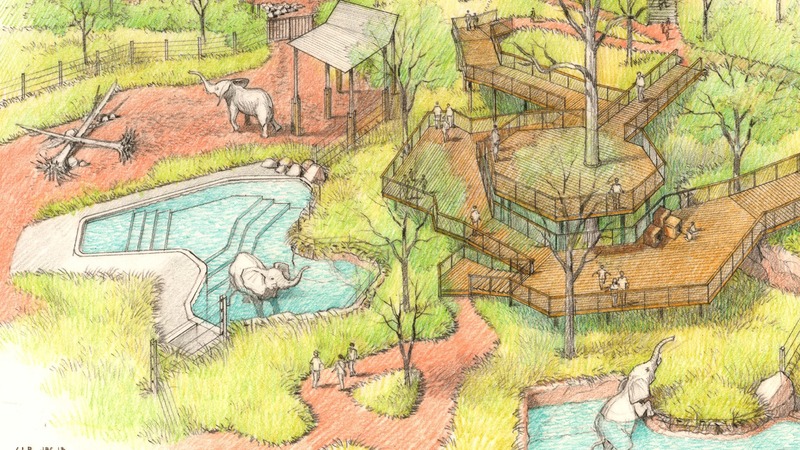 Features will include a water cannon, a flexible elephant hay hoist, a demonstration/keeper chat area and a new, more accessible boardwalk leading to an expansive deck space called the Savanna Overlook, where guests can watch the elephants wallowing in the mud and dusting themselves in the sand pit. 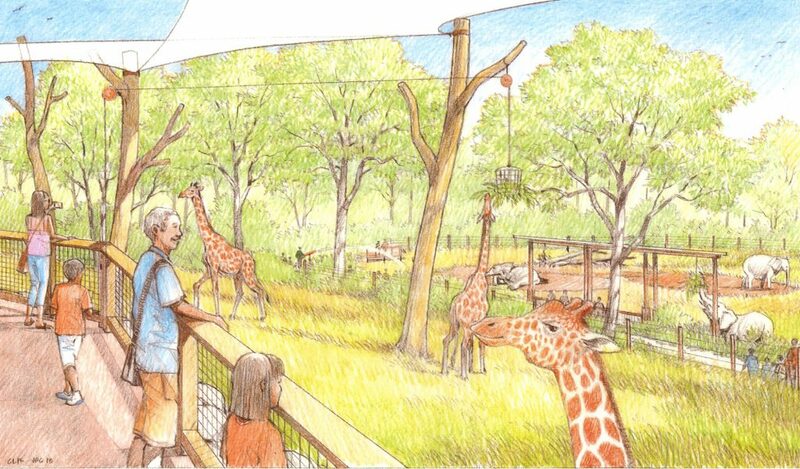 A newly created guest pathway, the African Overlook, will be developed as a cul-de-sac in between the lion and the giraffe habitats, adjacent to the Giraffe Feeding Station. This pathway will have a dramatic impact on the visitor by providing guests with a more intimate viewing experience with an eye-level passage to lions on the left and giraffes on the right. 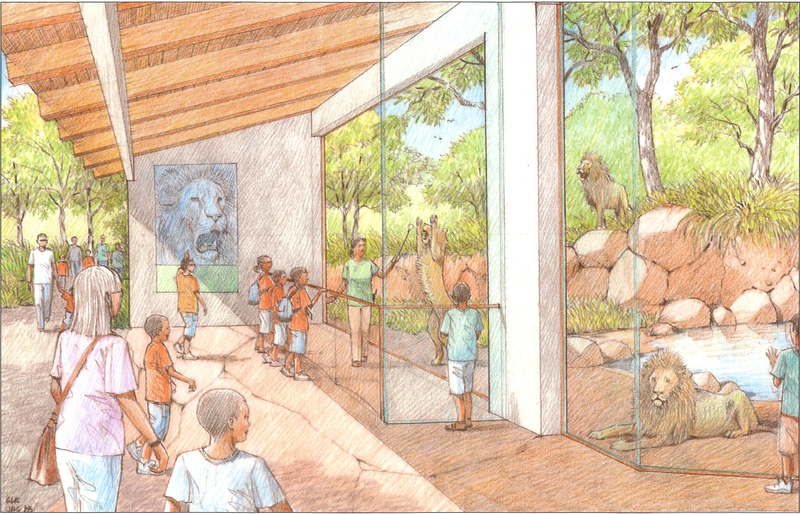 The barrier along the lion side of the African Overlook path will be a combination of stainless steel mesh and glass, giving the lion habitat a more open feel. 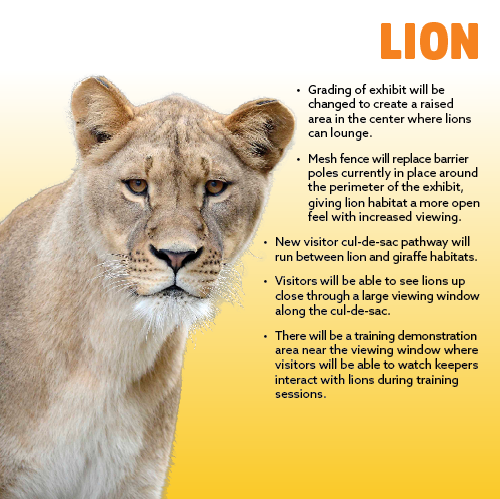 There will also be a large window with a training demonstration area where visitors will be able to watch keepers interact with the lions during positive reinforcement training sessions, which effectively ask the lions to participate in their own health care.